The photography industry is moving forward at an astonishing speed. Technology constantly changes the way we take, edit, share and publish photos. 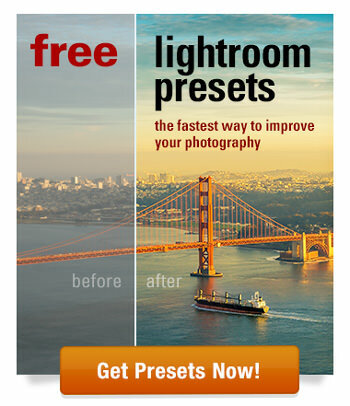 In the last years, my photography workflow has completely changed. Since I switched to mirrorless, it feels like I have a computer in my hands instead of a camera. It will not be long before a camera won’t be any different from a smartphone and more like a mini computer whose primary function is to take photos. The way camera sensors keep improving is also amazing. The dynamic range, the pixel count, the sensitivity—all of it—is absolutely astonishing. But, there is one area of photography that has not changed much in the last five to seven years and that is digital file management for travel photographers. Or, to put it simply, bringing your precious photos back home and safely storing them. The Fact: Two main factors heavily contribute to our challenges. First, we shoot RAW and we shoot a lot. Second, we travel mostly to places with poor or no internet connection. We cannot safely back up our images to cloud servers immediately after the shoot, which means that we have to carry the images around for days or, sometimes, even weeks. This is when careful planning makes a difference. Even though both strategies are very different, they have one thing in common: the heavy use of external hard drives. I even recently put together an article outlining the best external hard drive models that suit travel photography ( Best External Hard Drives for Photographers ). When I am on the road, the biggest change that happened in my backup photography workflow came with me switching from the Sony mirrorless to Fujifilm. One of the main motivations for the switch was my desire to have a true travel photography setup. First, I wanted to have a weather sealed camera body and lenses. Second, I absolutely needed a dual card memory slot. If many photographers use the dual card functionality to increase the speed at which camera transfers the images from the buffer to memory cards, I needed it for a different purpose, for redundancy. I always use my Fujifilm XT2 in backup mode. It means that the camera saves images to both memory cards simultaneously creating an instant backup at the time of the shooting. This is huge. It is the first time in my photography career I can enjoy fully redundant workflow from the moment I press the shutter button. Now, I have the 256GB memory card inserted in the slot #2 and I never remove it for the duration of my trip. It serves only one purpose to be backup storage for all my photos. 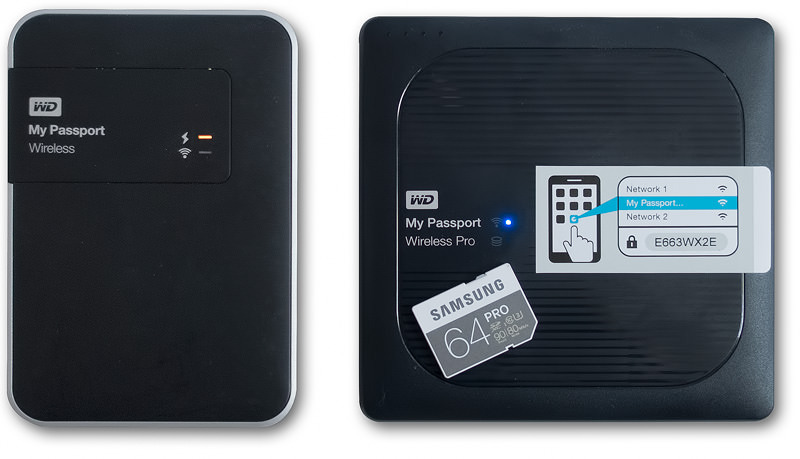 The second change that transformed my travel photography was the introduction of a new device by Western Digital, the WD My Passport Wireless to my backup strategy. It is an external hard drive that has one unique feature—a dedicated SD memory card reader that automatically backs up the contents of the inserted SD card without the need of a computer. The dedicated SD card reader has been a game changer in my travels. For years, my laptop computer was the center of my photography workflow on the road. Now, the WD My Passport Wireless has ultimately replaced it, making my laptop an optional piece of equipment. Currently, I have three variations of backup strategies that cover different scenarios of my photography when I travel. I define “long trips” as anything that lasts longer than a week. Although I previously said that my laptop is an optional piece of equipment in my travel photography, I do prefer to have one for long trips. However, my laptop is no longer part of my backup strategy. Instead, when I need to produce photos for publishing, I use my laptop for Lightroom Editing. When shooting during the day, I set my camera to the RAW+JPEG shooting mode. This allows me to connect my camera to a smartphone or tablet during the day and grab the JPEG versions of the photos to quickly edit them in Snapseed or Lightroom Mobile and then publish them on social media. When I arrive at my hotel or camping site each evening, I automatically back up all the new photos I took during the day to my WD My Passport Wireless drive. I also keep a temporary travel Lightroom Catalog on my laptop. In case I decide to edit some of my photos during the trip, I connect my drive to the laptop and load images from the drive. I use this setup for photography trips that last less than a week and when I prefer not to bring a laptop with me. For example, when I drive to New York for a three-day trip, I always bring a laptop regardless of whether I need it or not. But, if I know that I plan to spend a week at a campground in the middle of nowhere without an internet connection, I prefer to leave my laptop at home. When I shoot during the day, I have 2 versions of each image I take saved automatically on 2 memory cards. When I reach the campground at the end of the day, I insert one of the memory cards into WD My Passport Wireless drive and it backs up all new photos without the need for my involvement. Although I do not have a laptop, I can always connect to the drive with my tablet and grab any photos (JPEGS only) to edit in Snapseed. This approach makes sense for shorter but very demanding trips when every gram counts—like multi-day hiking trips, for example. In these situations, I only bring the camera with 2 memory cards. With this setup, the memory cards serve as backup devices. As you can see, I managed to achieve redundancy with my backup strategy on every step of my travel photography workflow. I might need to look beyond the Sony realm when I choose my next camera. I am not going to spend too much time explaining my backup strategy at home because it is not specific to travel photography and the number of different setups and variations is almost infinite. I use a three-level backup strategy. I have a 4TB internal hard drive dedicated only to my photos. When I am back from a trip, I import all new photos to my Lightroom catalog and copy them from the external drives to an internal 4TB drive. At this point, I do not rush to empty my external travel drives and, instead, keep them filled with photos from the latest trip until I am ready to leave on another one. This is just to be safe. I have a 4TB external WD hard drive connected to my desktop computer. 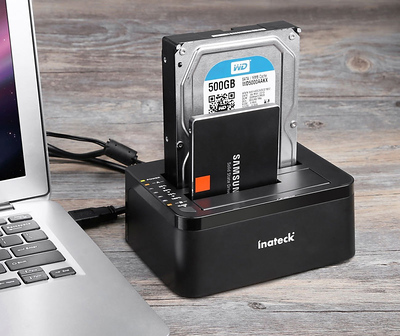 Plus, I use 2-Bay Hard Drive Docking Station from Inateck with 2x4TB internal hard drives which extends my local backup volume to a whopping 12TB. Every night the incremental backup process is triggered and copies all new and modified files to the external drive. I use a service known as BackBlaze to back up the contents of my desktop computer to the cloud. I tested a number of different Cloud Backup and Cloud Storage solutions and found that BackBlaze is the one that best meets my needs. I especially like my setup because after I import the photos to Lightroom (Level 1), the rest of the process is fully automated. Important: It does not matter what system you use the goal should be the same. You need to have at least 3 copies of your images stored in not less than 2 different locations. I achieve this goal by having my digital images stored on the internal hard drive, external hard drives, and cloud storage. 3 copies, 2 locations. The process of bringing your photos home and storing them safely after you are back is not always straightforward. It takes research, planning and discipline. But, when you have a plan in place it becomes second nature and a habit. I hope my backup strategy will inspire you to develop and implement a system of your own. Most interesting. I’m at the netbook level today with 2 external SSD. BUT, is there some hard drive that can also read Compact Flash (I have a D800E)? Then I cold also skip the netbook. The screen is crap so I can’t edit any images anyway. Ouch, that’s too much! And you need 2. 500 GB isn’t that much if you shoot Timelapse. I like the claim on the page: ” Supports any RAW type”, yeah right. I have to admit that I have never seen such a strong risk management approach when it comes to backuping your pictures. Thanks for sharing your backup strategies. Have you consider copying your images from your camera to a wireless HD via wi-fi? is it capable of doing so? if so, this way you can do backups in real time. Also, wondering if you can pair up your camera with your phone via wi-fi, and upload images to Internet in real time. Would be cool to have this feature, especially when you shoot someone who can ask you to delete a picture of them. Your cloud backup comes in handy if you worry that all your equipment can be stolen (usually not the case though in Canada and the US). I used Google Drive every day to upload all my fresh post-processed pictures while on a trip to Costa Rica. However, you have to post-process your pictures in a hotel room which I know you don’t normally do. I shoot RAW so the file size is huge. I have 3TB of images and if I use Google Drive it would cost me $300 per month. In Level 1, do you start a new LR catalog on your laptop with each trip, or do you copy your catalog from your desktop to your laptop with each trip and then synch the catalogs when you get home? If you start a new catalog, is there a way to have all your key words available on the lap top, which will make it a lot easier to import new photos into your laptop? great question. I always create a temporary catalog on one of my external drives for the duration of the trip and when back home I use Import from Another Catalog feature to bring all images and data to my main desktop. Thank you for this information! On your at-home backup strategy, what software do you use for Level 2 – backup to the external drive? I take it that having already backed up a file with Crash Plan doesn’t eliminate the file from the incremental backup to the external drive backup. Thanks! for years I used Cobian Backup. It is a free advanced backup application for windows. But now I switched to Crash Plan for local backups as well. One thing I’ve done is watch for sales for SD cards at 128 or 256gb. Some of the “extreme” brands are very durable (claim to be waterproof and shockproof, though I’ve never tested them). They can be a great place to drop another copy of photos in very little space. And you can carry it in your pocket or money belt. This was useful on very long trips where I needed/wanted to have the photos on me at all times in addition to the drive and laptop backup in the hotel room. Hey Viktor. Great information there. You mentioned that you connect your camera to your phone to import JPEGs, edit in Snapseed and upload on the go. How do you import photos into your phone? I have an android phone (Samsung Galaxy Note 3), and I believe you need a rooted phone to be able to directly access a DSLR camera. What’s your procedure for this? Thanks! I use a Sony Mirrorless system and it has functionality to connect to the camera using mobile apps. Hi Viktor! How are you liking the Passport wireless drives as your card reader back ups–after some time using them? I’m considering the computerless travel option. Thanks! Thanks! I the current version is apparently replaced by the My Passport Wireless Pro. I got a 3TB one; the challenge is that it’s quite heavy! Anyway, looking forward to using it. Thanks! this is my problem with new model, it is twice the weight and twice the size. I can’t make the comparison but I agree that this one is surprisingly heavy! I tried to find the old version but no luck. I agree with a comment on your review page that it would be nice to have SSD. I have a small Sandisk SSD that I currently use for offloading my cards (via the computer) and I appreciate the light weight and stability. Thanks so much for this workflow idea! Do you eventually empty each wireless drive before your next trip? Are you setting up a Lr catalog on the wireless drives (you mention a Lr Travel catalog)? Thanks! I always appreciate your generous information. I delete everything from my 2 wireless drives before leaving for a trip. I setup LR catalog on laptop but I keep all photos on external drive. Thank you so much for the information and for the catalog tutorial article. this is the empty case version in which you can insert an SSD which I consider much more safe for carry around (and lighter). And you can view all the photos you have loaded on, even RAW.